Abhishaik Shinde was professional, informative, knowledgeable, sensitive, and overall went above and beyond my expectations. Although Bob Jureidini was not serving me that day, he did make the appointment for an additional service request. He took the time to check my car's history to determine what was needed. I have always found B. J. to be extremely professional and helpful throughout the years. It is always a pleasure to deal with him. Both men have a good sense of humour, which I always appreciate in service people. Just wanted to take the time to say how awesome my latest experience was. Mike Dahmer went over and above taking care of me. I have never had such a positive experience in the service area since having service done on my old Jetta and now my Tiguan. I was very pleased with the quick work that was done to my vehicle at Guelph VW. I cannot thank Sue Phillips enough for taking care of things for me. I have no problem returning for service in the future. Amazing and jolly customer service. Even though they were busy, my service consultant was quick to diagnose my car and knew exactly what he was talking about. I chose to try them out because my mother had also purchased a new vehicle here. I will now come back for anything I can't do myself. I got my Volkswagen Jetta 1.8 from this location and I'm really satisfied about their service. They are friendly and professional in terms of customer service. 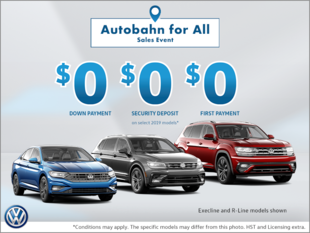 I recommend this dealership for everyone looking for a VW. Don't go anywhere except GVW.